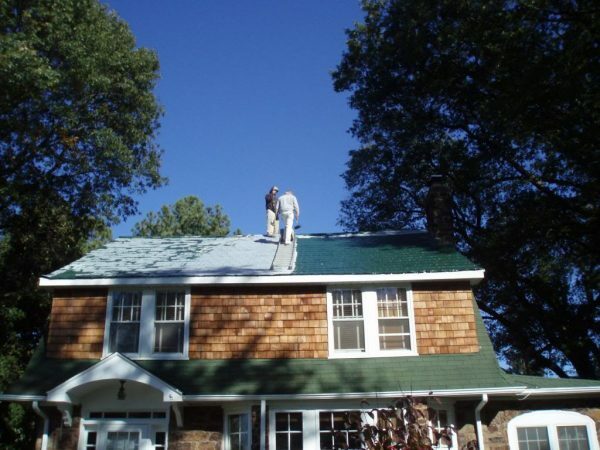 House Painters Severna Park, Annapolis, Anne Arundel, Howard, and P.G. County, And More! When the time comes to update your home's exterior with fresh paint you want to make sure you're using an experienced name you can trust? Someone who tackles event the tiniest of details as just part of the job, and that's our team here at All Painting and Power Washing. From meticulous surface prep to ensure that your paint will adhere beautifully for years to come, to our knowledge of the exact right paint right for every material and application, we handle every job with perfect care, and it's important. Let's face it, exterior paint is more than just an expression of your style and your home’s personality, it is also the barrier that protects your home from the elements. Whether you have vinyl siding or exposed wood, paint keeps your home safe from the constant wear and tear of the outside world. Think of paint as a rain jacket that your home wears all the time – a valuable investment in your home’s health, since weather can eventually lead to rot and mold, and a home with old paint is prone to serious structural problems caused by damage. The amount you spend on exterior painting is more than just decoration, it’s an investment in the long-term preservation of your home. 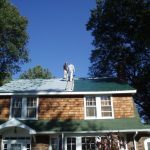 A high quality exterior paint job in Maryland is absolutely worth the cost, as it has all kinds of age-defying properties that keep your home looking beautiful long after your Maryland house painters have left. If you’ve ever noticed the tendency for paint to fade in direct sunlight, you understand the importance of high quality paint. The radiation from the sun can damage paint over time – breaking down all but the best paints and allowing water and weather to creep their way through. Modern houses have so many advantages over their older counterparts. From energy efficiency to the decrease in maintenance costs, it is no wonder that throngs of Severna Park and Annapolis area residents are moving into new-construction homes each year. Unfortunately, newer homes also suffer from a terminal lack of inspiration. A quick drive through one of Maryland’s “cookie-cutter” subdivisions shows a depressing lack of variety and color – but a little creativity and some house-paint can make any home exterior look unique and exciting. Even if you live in a neighborhood that restricts the palette of house colors to a pre-determined range, you can still find a color that expresses your personality while setting your home apart from its neighbors. Vibrant hues of oranges and reds will make your home warm and inviting even during the Maryland winters, while blues and grays invoke the spirit of the maritime settlers that first called Maryland home in the 18th century. No matter what colors you choose, a professional Maryland house painter can apply your new paint color quickly and effectively – creating a brilliant work of art that will stand up to the test of time. 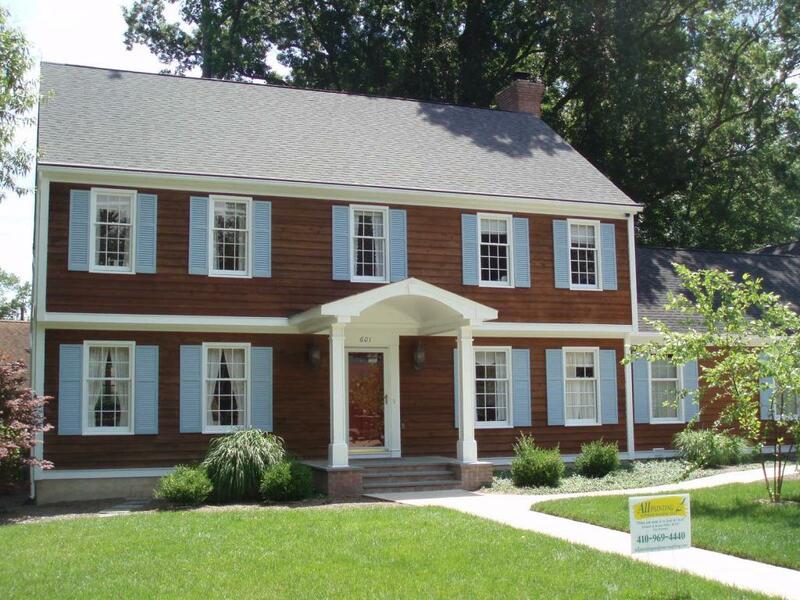 The Severna Park and Annaplis areas are known for houses with personality, and our Maryland exterior painting gives you the flexibility to reinvent your home every few years when the mood hits you. Vinyl siding locks you into a long-term “look” for your home that isn’t cost effective to change or alter, but paint gives you a nearly infinite canvas of possibilities. You aren’t even tied to a single color with paint – you can experiment by changing the colors of your accent pieces, windows, even different colors for different walls! Exterior painting can also protect your home’s resale value – making it ready for market by sprucing up an original paint job or updating your home’s paint to match the modern style. Is your home starting to fade? Has weather and mildew-staining taken a toll on your once-bright house? 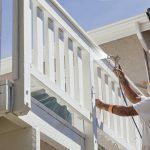 Exterior home paint is not immune to technological innovation, and new paints utilize all kinds of protective sealers and barriers that make it longer lasting and more vibrant than ever. Professional painters can match new paint to your home’s old color to refresh your original paint job, or they can find a new hue that works with your goal of selling your home – something with timeless appeal like a beige or a white. Whatever color you choose, know that your Maryland exterior paint job is one of the best things that you can do to increase the value of your home. New paint makes any home look like a million bucks, and it can mean the difference between a house that looks weathered and disused, and a house that looks ready for a new occupant. Many real estate agents recommend that home owners looking to sell their houses paint at least the shutters and the accents to give the house a little more curb appeal. Thinking about painting your own home? It might not be worth it. Professional painters might cost a little more in the short term, but a professional house painter can save you all kinds of money if your "Do-It-Yourself" project goes wrong. 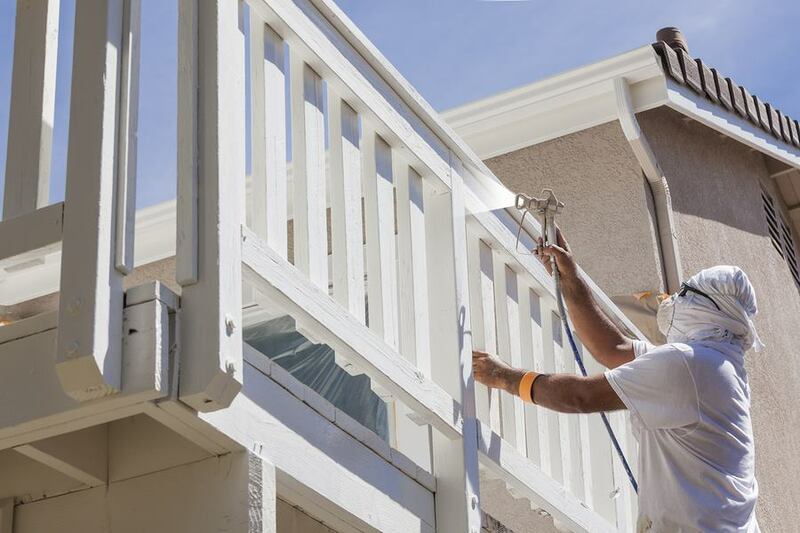 If you want to make sure that your house is painted correctly the first time, there are a few different reasons why a professional exterior painter is right for you. #1: Professional house painters carry their own insurance. 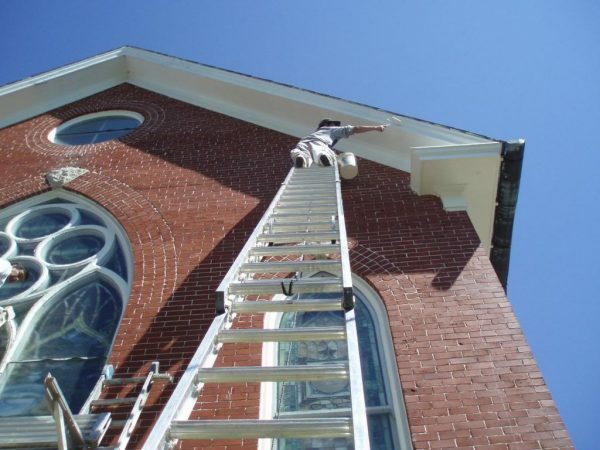 If, God forbid, an accident should occur – professional house painters have professional insurance that covers them (and your property) in case of an accident resulting in injury. 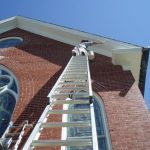 House painting is an inherently dangerous job, with ladders and heights adding to the risk, and trying to paint your own home can result in hospital bills far outweighing any potential project savings. #2: The quality of your paint makes all the difference in the outcome of your house painting project. Low quality paint, like the kind you usually find at home improvement stores, requires multiple coats just to look smooth – and the color matching is usually not up to par. Professional paints last longer, they go on faster, and they come in a far greater variety of exciting colors. 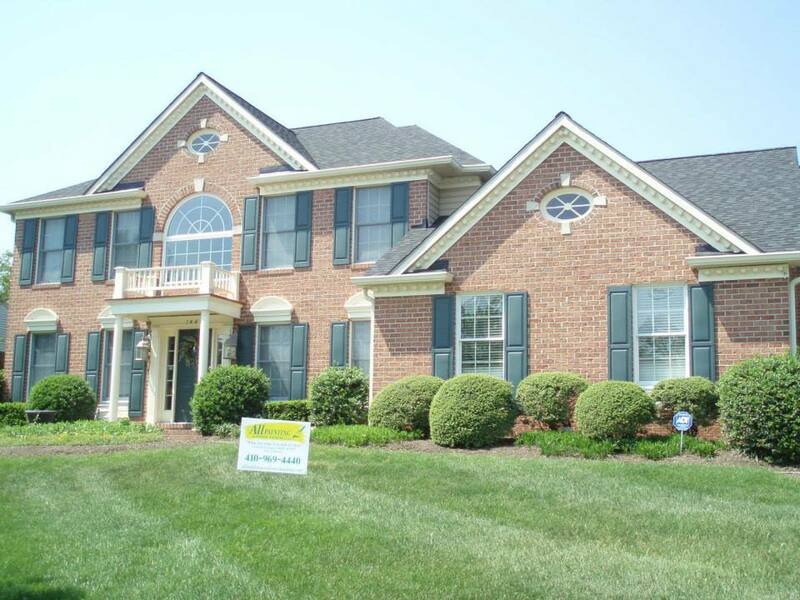 #3: Maryland exterior painting is a quick project as long as it is done by real professionals. 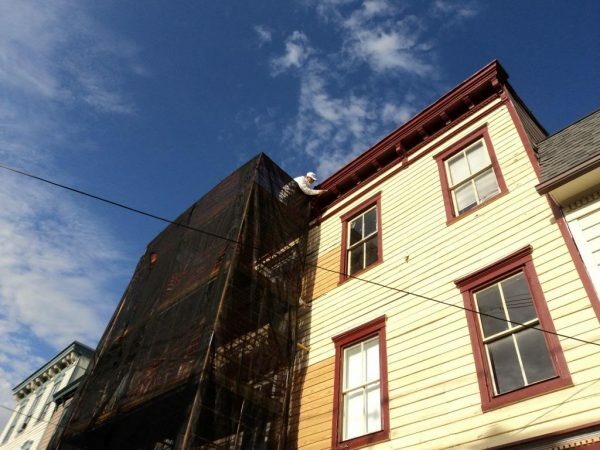 Painting a full-sized 2400 square foot home takes a professional company only a day or two, and they’ll take care of all the preparation work (like filling in cracks in siding and ensuring that primer is used where necessary) that is usually overlooked by hobbyist painters. 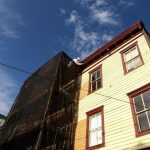 On the other hand, painting projects by homeowners and inexperienced contractors can stretch on for days and days, increasing the risk that the paint job will be ruined by weather or unforeseen events. You can call our direct local number at 443-790-7145 or simply complete the form below. We'll get back to you ASAP!